End Platinum - an Ore with a Few Diffrences. Voidtane. It should be called voidtane. Back to the armors and swords, I could see this pleasing mapmakers somewhat, and being one, I would enjoy End Platnium "Voidtane" as another tier armor. And the only point in your comment was to not have a point. Good job, Bucky. Voidtane is a pretty good name. Can You Not Talk Like This And Put Your Post Into One Huge Pile Of Text? As much as I want new tiers of gear like Obsidian for example, I know it's just a wish that will never come true, for Mojang has said "no more tiers". We. Don't. Need. More. TOOOOOOOOOOLSSSSSSSSSS!!!!!!!!!!!!!!!!!!!!!!!!!!!!!!!!!!!!!!! Actually, I believe they said that there wouldn't be any more tool tiers unless they had some sort of special feature or something that made them different from all the other tiers. And, even if I'm wrong, it's not like it's set in stone or anything, so they may change their mind. I think this idea is interesting and I could see it fitting in pretty well. You did something that he asked you not to do, and what a sticky says you shouldn't do. He says no one liners. That's a one liner. He said no "no more tiers" comments. You did. Also, remember, when say something like that, well, you're being a horrible critic. It adds nothing to the idea. And adding onto, you shouldn't be so melodramatic, it's frowned upon in this forums. I've been doing that for about a year and a half. I've noticed, only new members complain. I'm just giving advice. Nonono, I was adding onto your post. Sorry if it sounded like I was directing it at you. Voidtane, I think, should be used to make some sort of red stone contraption. And since it spawns very limitly, it could break into Voidtane shards, 2-5 which you use to craft armor and whatnot. Thanks you for the Post on these. i get the feeling that even with the request of it they cant help but be like that rather then read a few paragraphs. 2) Proper nouns - that is, the formal name of someone, something or somewhere. The word "restaurant" is not a formal name, and so you don't capitalize it; however, "Billy's Grill," the formal name of some fictional restaurant, would be capitalized. 3) The word "I" (not simply the letter), like in the sentence, "This is how I feel," is also always capitalized. As for your suggestion, I'm all for adding new ores, especially in a place as otherwise barren and useless as the End ("The End" is the formal name of a place in Minecraft, so we capitalize it), but... well, there are a few issues. Tiers in-between existing tiers, which are already so close in functionality, seems useless. Furthermore, you describe this ore as "something Enderman avoid," which makes absolutely no sense if it exists only in their home world. Finally, new ores do not need fancy new names. 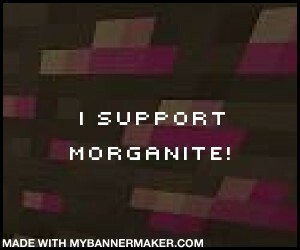 Recall that the existing minerals in the game are, "iron, coal, gold, diamond, emerald," so on and so forth. "Platinum" would be a fine name - it doesn't need to be any more complicated than that. Hey, Im just trying to keep the thread alive!